If it's not popular, it's not culture. The SWPACA Executive Team and the Peter C. Rollins Book Award judging panel are pleased to announce that the Rollins Book Award has been expanded to recognize outstanding scholarship in multiple areas of popular and American culture. Traditionally, the Rollins Book Award has recognized manuscript-length work in the area of Film/Television Studies. The Rollins Award will continue to do so, with the annual recipient in that category being invited to present the Keynote address at the SWPACA Awards Reception the following year. In addition, the Rollins Book Award committee will recognize one to three volumes/year in the category of general popular culture and a “rolling” category identified each year based on trends in popular and/or American cultural studies. Each year the Rollins Award Committee welcomes submissions of book-length work (single/multiple author or edited collection) published within the previous two calendar years. Books published in 2012 or 2013 may be submitted for consideration. For full submission guidelines, please see visit the Rollins Keynote Speaker Page. 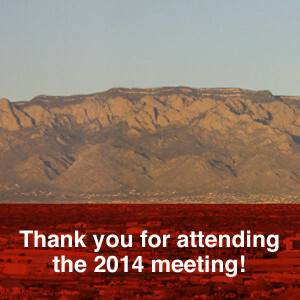 Thank you for attending the 2014 meeting! The Southwest PCA Executive Team would like to thank all participants and guests who attended the 35th annual meeting of the Southwest Popular/American Culture Association, held in Albuquerque, New Mexico, February 19-22, 2014. We enjoyed meeting with you, hearing your presentations, and visiting with you at the various functions throughout the week; we hope that your time at the conference was stimulating and rewarding. We would especially like to thank our honored guests and keynote speakers, Dr. Spencer Herrera, Levi Romero, and Robert Kaiser, who presented portions of their book Sagrado: A Photopoetics Across the Chicano Homeland (UNM Press, 2013). Special thanks, as well, to Dr. Alisa Perren, author of the Rollins Book Award for her work Indie, Inc: Miramax and the Transformation of Hollywood in the 1990s (U of Texas Press, 2012). Photos from the keynote and the awards ceremony are available on the Southwest PCA site. If you’ve not had opportunity to visit the new journal site, we would encourage you to do so. The inaugural issue of Dialogue: The Interdisciplinary Journal of Popular Culture and Pedagogy is available at journaldialogue.org, and the second issue is forthcoming this Fall. The Southwest PCA invites you to join us at our 36th annual conference, to be held February 11-14, 2015, at the Hyatt Regency Hotel in Albuquerque, where our conference theme will be “Many Faces, Many Voices: Intersecting Borders in Popular and American Culture.” We look forward to seeing you there and to the next 35 years and beyond in popular culture studies. 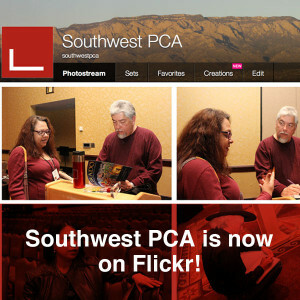 Southwest PCA is now on Flickr! We are pleased to announce that we now have a Flickr account to share photos from the conference! Take a moment to head over to http://www.flickr.com/photos/southwestpca/ to view our photos. We will post photos from the conference, the keynotes and others! Rollins Award and Graduate Awards; this set contains photos of our Rollins Keynote speaker, Alisa Perren, as well as award announcers and all of our graduate award winners. We hope you like the photos. Keep your eye on the Flickr page as we grow our photographic presence and keep a record of our meetings! 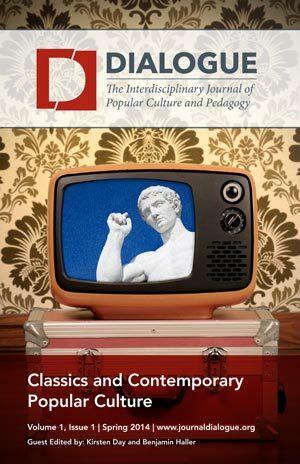 We are pleased to announce that Classics and Contemporary Popular Culture, Volume 1, Issue 1 of Dialogue the Interdisciplinary Journal Popular Culture and Pedagogy is now live. Head on over to http://journaldialogue.org and have a look! The SWPACA web site has been updated and moved to its new home at www.southwestpca.org – be sure to check back regularly for news and info! The SWPACA is pleased to announce the launch of Dialogue: The Interdisciplinary Journal of Popular Culture and Pedagogy. Please visit www.journaldialogue.org for more information. It is our goal to attract a new group of authors with these new subject categories in honoring the legacy of Peter C. Rollins the founder of our organization. February 20-23, 2019, Albuquerque, New Mexico. Learn more about our Rollins Book Award. We are proud to introduce our new bi-annual open-access online journal that explores multiple aspects of American and global popular culture and pedagogy and offers a scholarly examination of the broader culture in which we live, addressing relationships between literature, culture, music, technology, gender, ethnicity, and media. 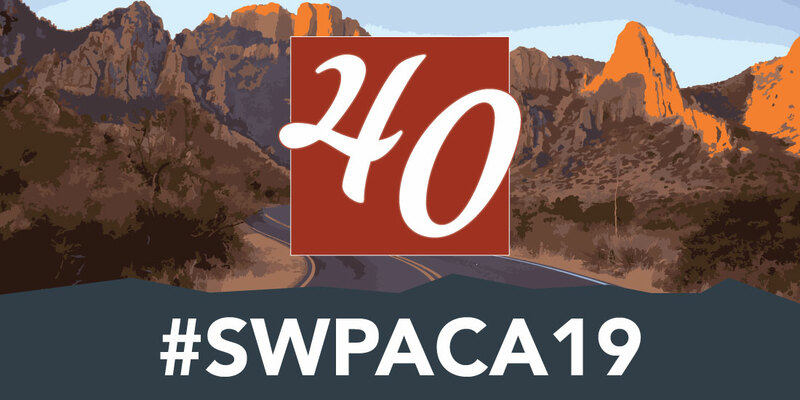 The mission of the Southwest Popular/American Culture Association (SWPACA) is to promote an innovative and nontraditional academic movement in the humanities and social sciences celebrating America’s cultural heritages, and to increase awareness and improve public perceptions of America’s cultural traditions and diverse populations. We work towards this mission by providing a professional network for scholars, writers, and others interested in popular/American culture via our annual academic conference and through our open-source, peer-reviewed academic journal, Dialogue: The Interdisciplinary Journal of Popular Culture and Pedagogy. Additionally, the SWPACA has a long-standing commitment to supporting the development of new and young academic professionals in the fields of popular and/or American cultural studies through conference travel grants, paper awards, and professional development opportunities. Southwest Popular/American Culture Association. Copyright 2013. All rights reserved.